Today I'm participating in a really neat collaboration among some amazing bloggers. 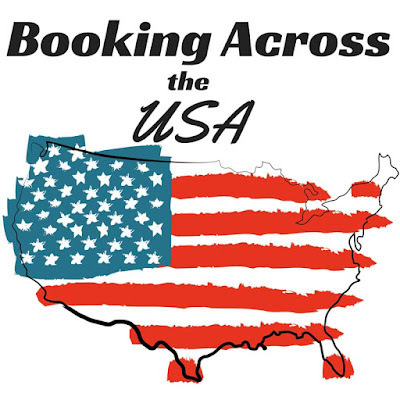 Jodie from Growing Book by Book is hosting Booking Across the USA, which features corresponding activities to go along with books by authors from every state in the country. My featured state is Oregon, so I was thrilled to discover that one of our favorite authors lives there! 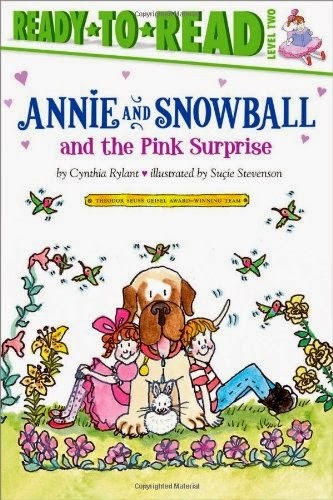 Cynthia Rylant has written over 100 children's books. Ms. Rylant was born in West Virginia, but has lived in Oregon for many years. 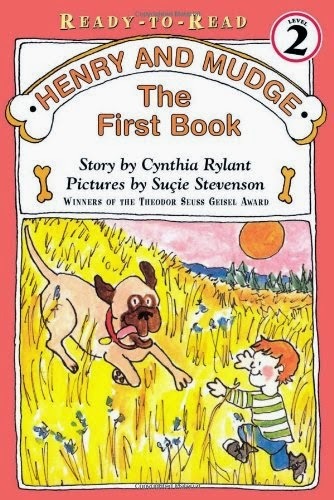 Many of Ms. Rylant's books feature animals and the close relationship that people have with their pets. 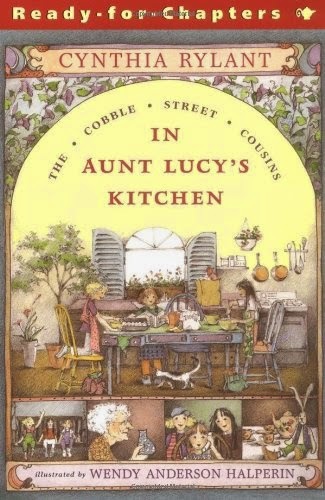 In addition, she has written dozens of picture books. Some of our favorites are The Relatives Came, All In A Day, Dog Heaven When I Was Young In The Mountains, Every Living Thing, and The Old Woman Who Named Things. 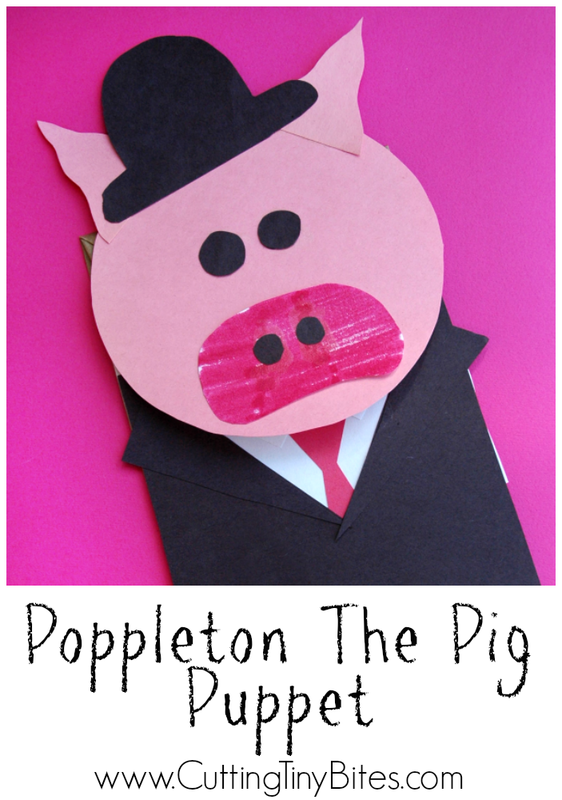 We chose to do a craft to go along with the "Poppleton the Pig" series. 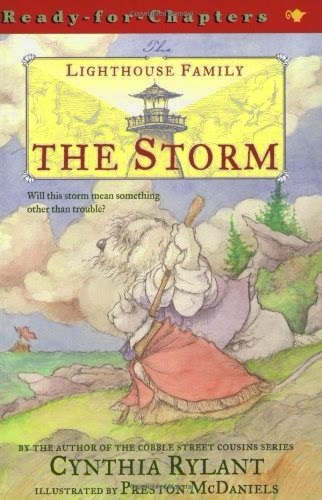 We recently checked out some of the "Poppleton" books from the library and Lena (age 4.5) loved them! 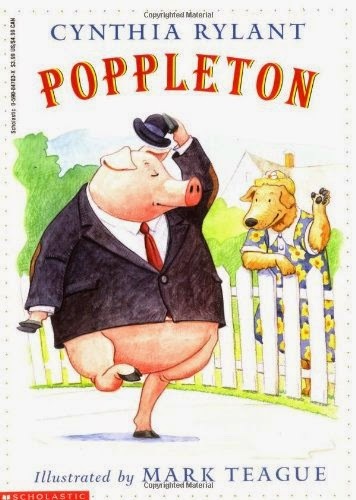 Poppleton is a sweet pig who moves from the big city to small town. 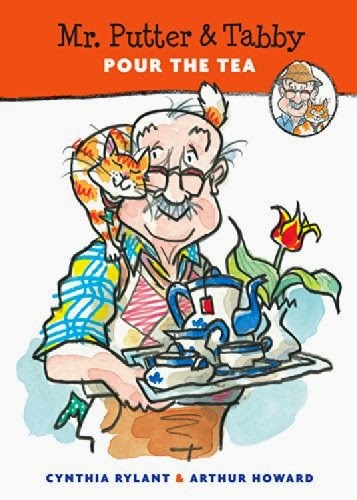 The books are about his adventures as he gets to know his neighbors. 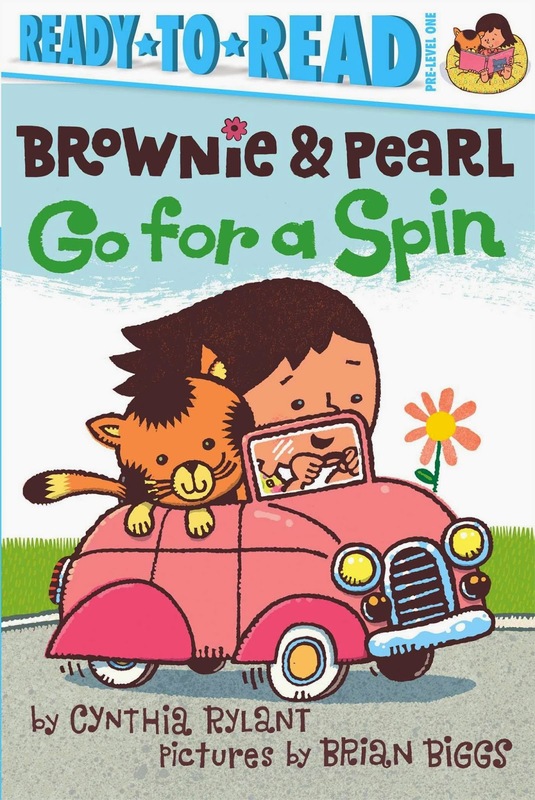 Each book contains 3 short stand-alone stories, which makes them perfect for early readers. 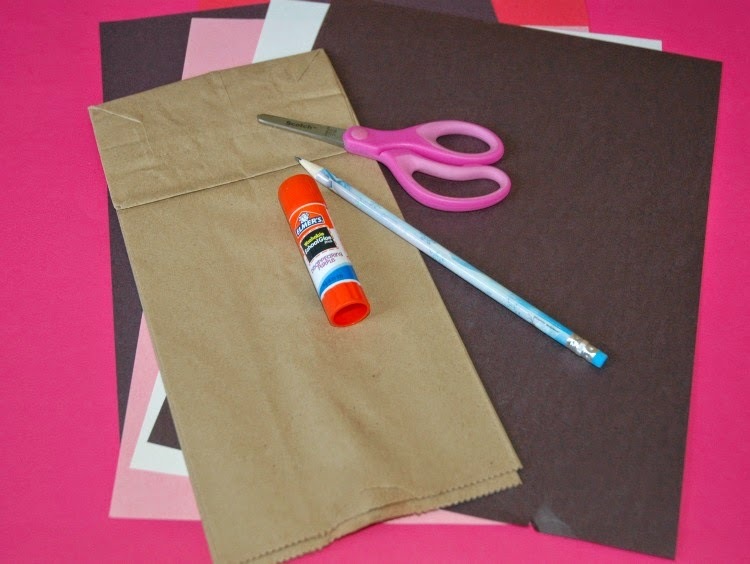 To make your paper bag puppet, you'll need a paper bag, construction paper in pink, black, white, and red, a pencil, scissors and a glue stick. Look at the pictures above and below to see what shapes you need. I found a bowl to trace for Poppleton's head, but everything else is simple enough to freehand. 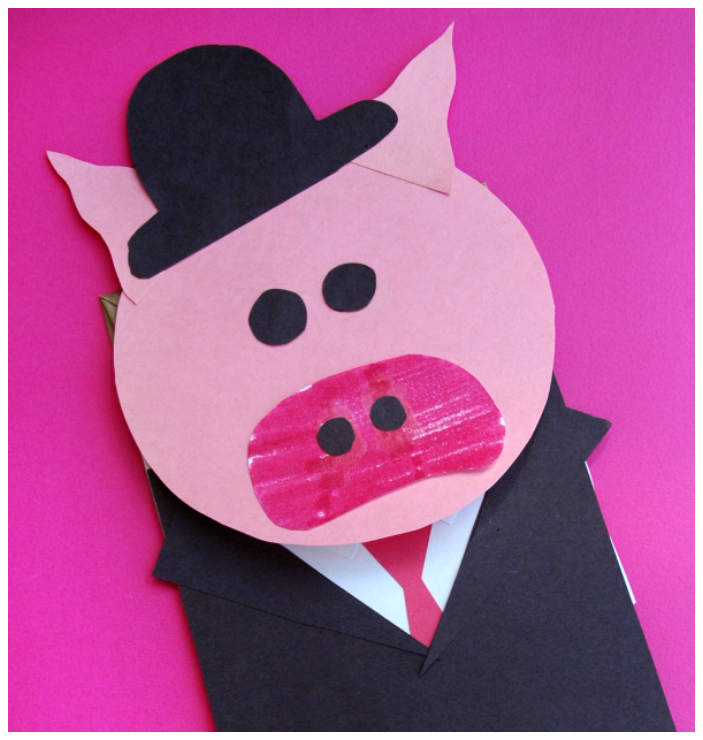 For the snout, we didn't have dark pink construction paper so we colored white paper instead. The ears are just wavy-edge triangles. For Poppleton's suit, we started with a white square cut to the width of the bag to be his shirt. Then we added a black rectangle the size of the bag (underneath the fold) with a 'V' cut out for his jacket. 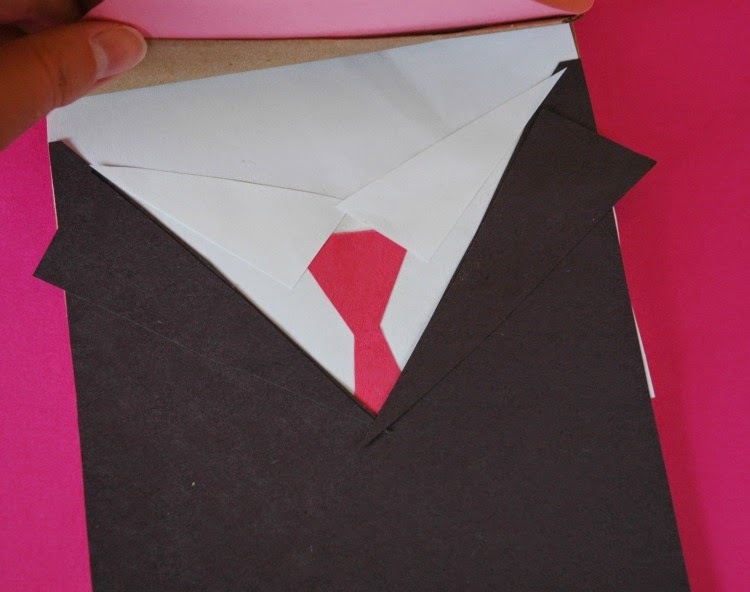 The suit lapels and shirt collar are just triangles, and the tie shape is fairly straightforward. 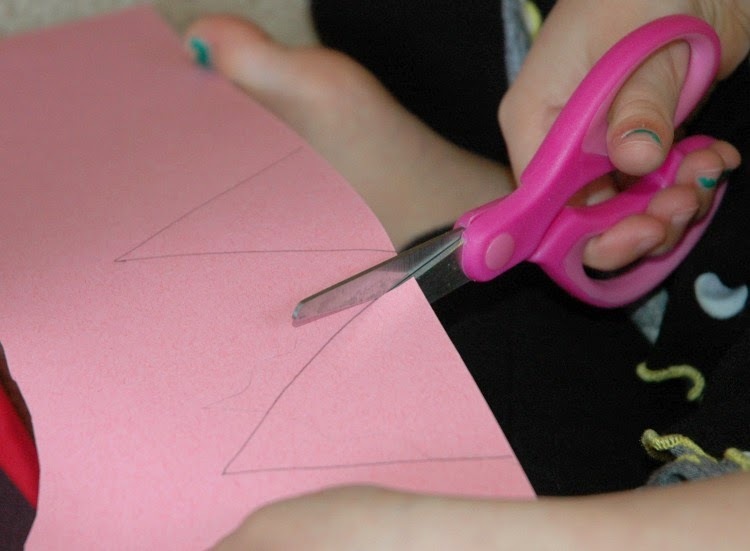 When we do a project like this, I usually draw the shapes and then let Lena cut them out. 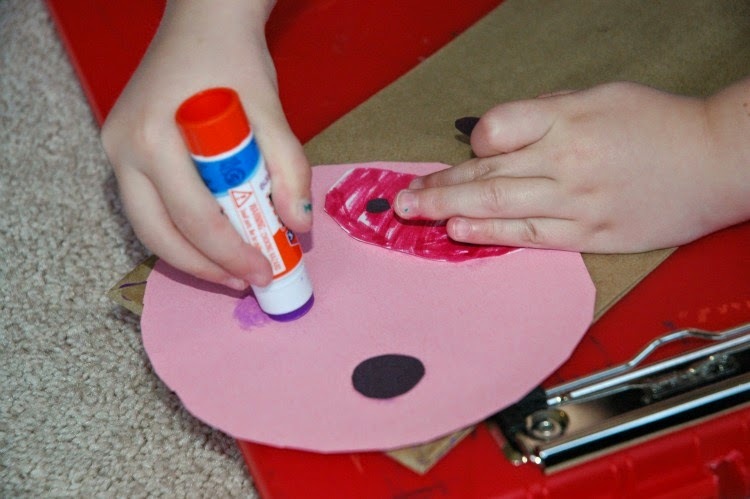 For younger children, you may want to have all your shapes pre-cut and simply let them do the gluing. Glue all your pieces on, let them dry, and make Poppleton come alive! Below you'll see the completed 4-year-old version! Be sure to check out all the other amazing posts for Booking It Across the USA over at Growing Book By Book. You'll be introduced to some great authors, and get tons of inspiration for activities and crafts to go along with children's books. 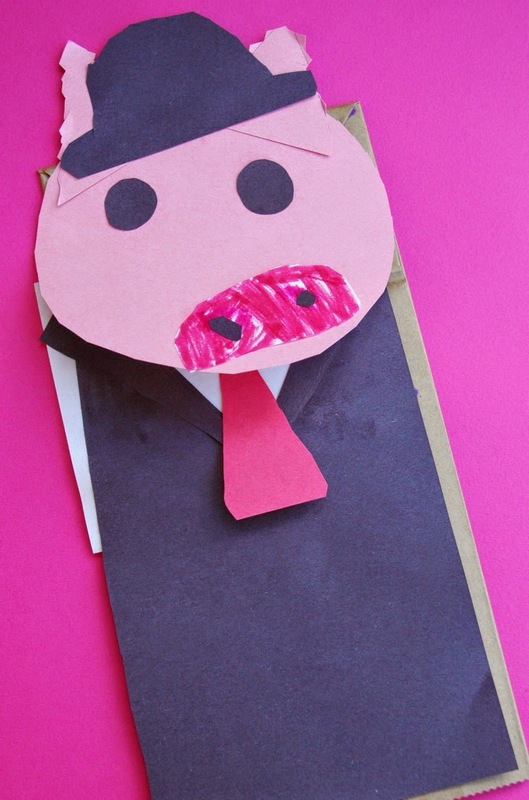 Many of these ideas are pinned on the What Can We Do With Paper And Glue Pinterest board of book extensions. 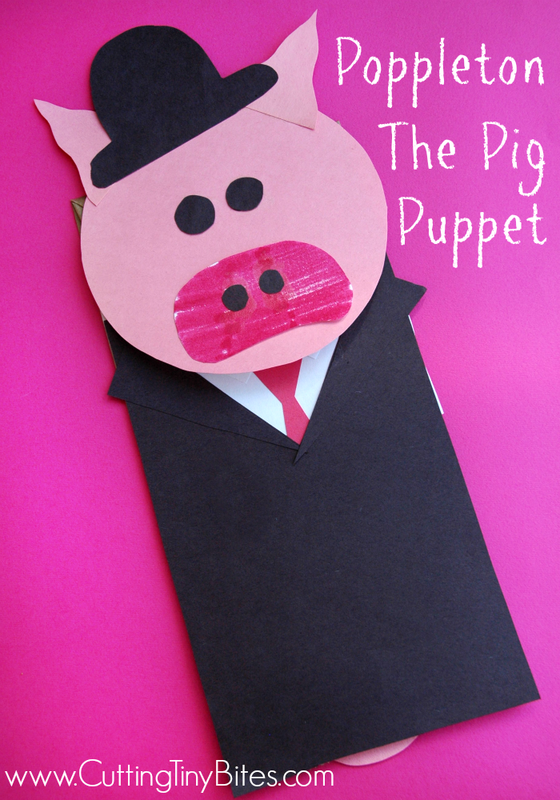 Poppleton the Pig Puppet. 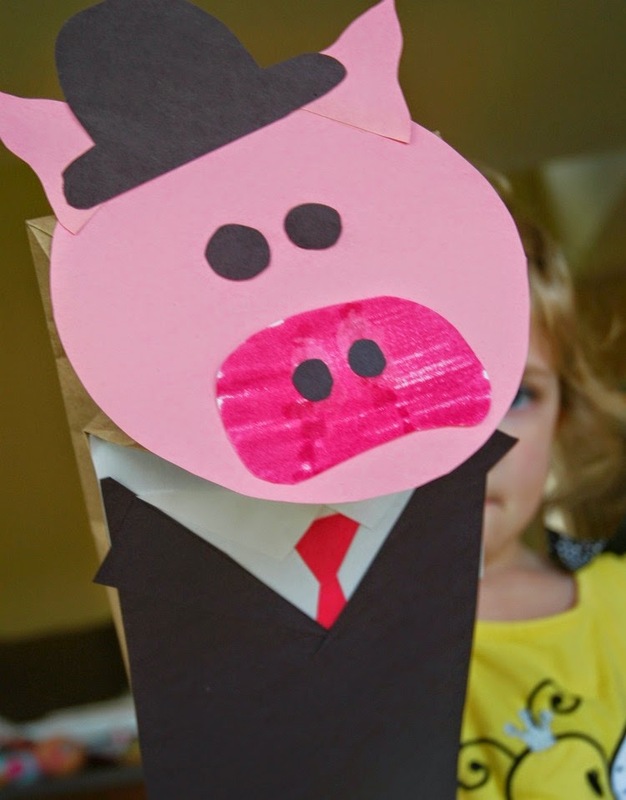 Paper bag puppet craft for kids to use with the Cynthia Rylant series Poppleton.